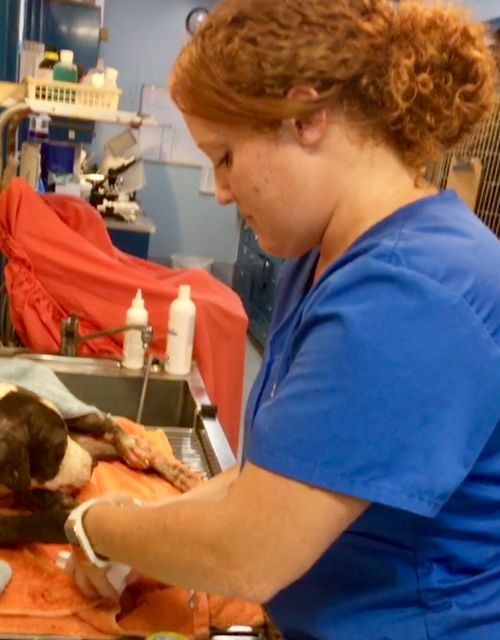 Some practices celebrate Veterinary Technician Appreciation week--at Highland Veterinary Clinic we're celebrating the entire Veterinary Care Team because, well, that's how we practice! Third Quarter 2017 we kicked off the end of our summer achievements (see more below), and welcomed a new primary veterinarian to our practice, Dr. Katherine Turpen! 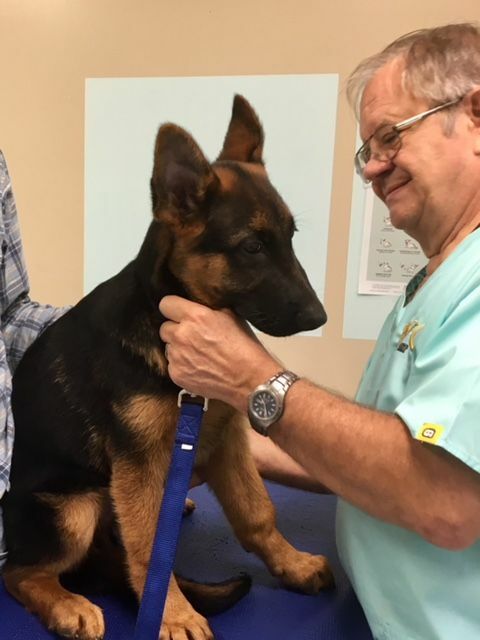 To clear up any misinformation floating around the neighborhood, Dr. Gregg J. Gormley has thoroughly enjoyed practicing in a two doctor veterinary hospital over these passed two months way too much to retire anytime soon. As he puts it "The number of patients and clients seeking our kind of medicine has simply outgrown our single doctor practice!" Our practice has been growing and thriving over the past several years and we look forward to continuing growing our ability to provide compassion, innovation, accessibility and excellence in veterinary care to more patients and families in the near future by continuing to cultivate amazing relationships with our clients and their pets! Crystal O'Mullane Celebrates 12 years as a Veterinary Assistant--and 3rd year as a Groomer! 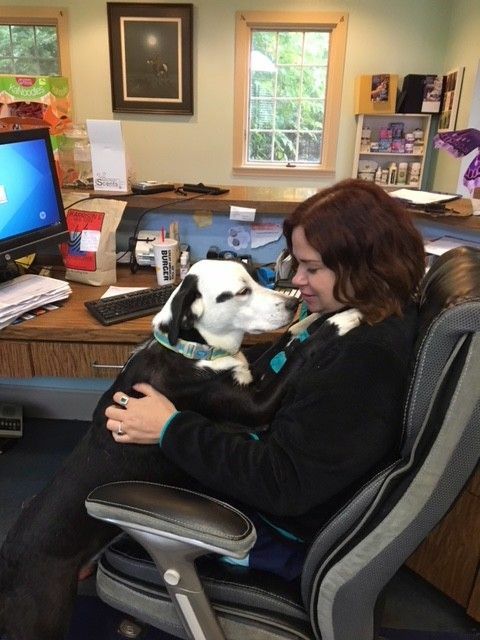 For a lady who'll tell you she "doesn't like change," Crystal has become one of the most amazing and versatile paraveterinary professionals most of our clients have ever met, all while helping on-board our new professional staff with warmth, humor, and support! Friendly, compassionate, caring, responsible, and always interested in learning--most of our client families have grown to know Crystal over the last 12 years as an assistant who cares and can track down answers and advocates for patient families. 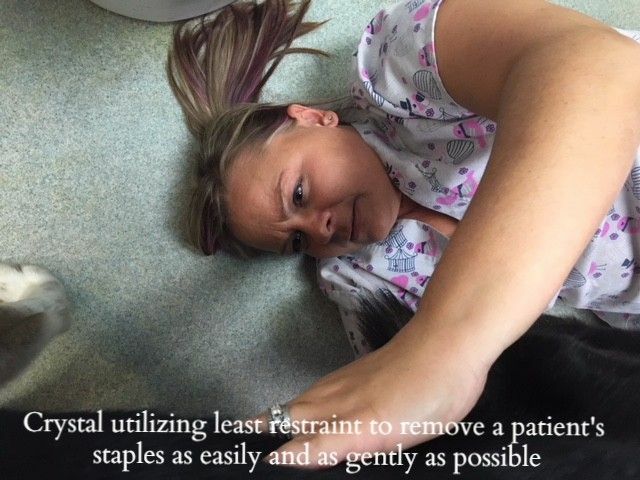 Veterinary Assistants are one of the most pivotal people in a veterinary practice because of all the skill sets needed to balance team care and patient care. 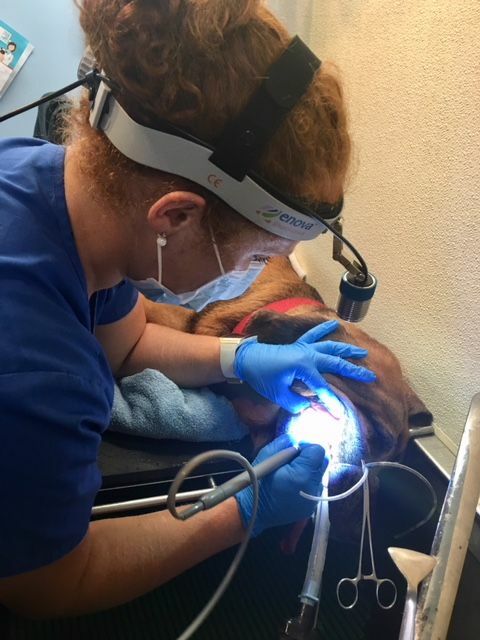 Crystal continues to serve our practice in this role but began providing some services as a groomer three years ago at HVC. 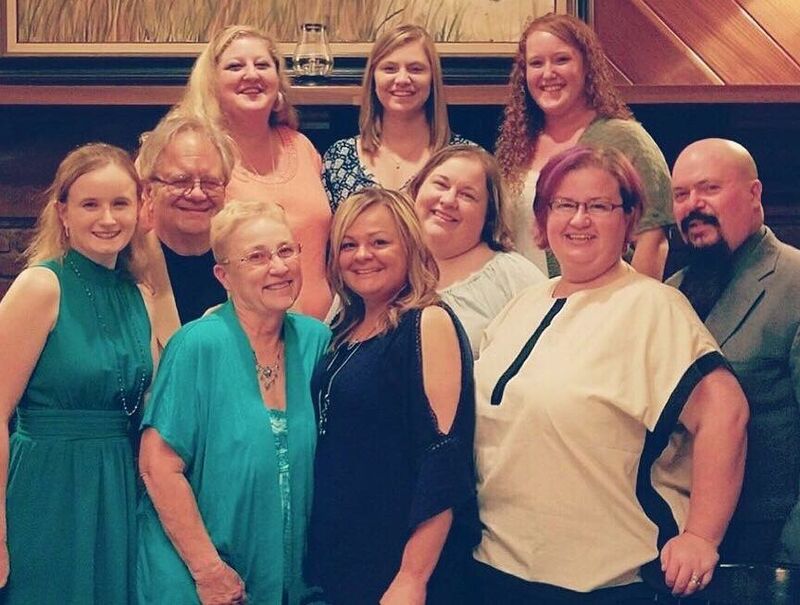 As some of you know, Carol Schlumpf has transitioned her groom shop to a facility which is closer to where her grandchildren go to school--we wish her all the best! Due to increased service capacity at Highland, Crystal has been glad to accept any medical clients at HVC as grooming clients, if they so desire, so that our patient families have the opportunity to maintain the all-in-one spa services that they have enjoyed for many years with some brand new amenities! Ask us about our new Low-Stress Handling initiatives and Fear Free environmental enrichment techniques, as well as the latest hypoallergenic shampoos and mousse therapies which provide soap-free formulations for grooming and moisturizing. Crystal is using shampoos contain emollients and fatty acids to soothe and nourish the skin, and aid in the control of flaking and irritations. Her shampoo will also contain phytosphingosine, an exclusive pro-ceramide to help support a healthy skin barrier for our spa guests. Highland Veterinary Clinic celebrated the graduation of our own Ali Bell from the Harrison College School of Veterinary Technology this Fall! Ali (now known fondly as "Red" among our work family) has served as an excellent veterinary trauma nurse for this summer's house fire victims, has organized our standard operating procedure in the surgical/diagnostic imaging suites and hospital inventory areas to fit the needs of a two doctor practice. 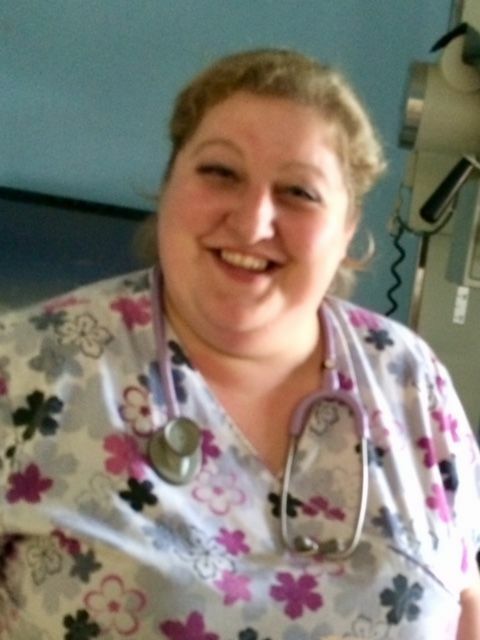 Ali is an excellent mother, friend, and dependable caring nurse and we're glad to have added her to our team. Fiona, Finn, Hope, and Charlie are bound to become super spoiled with new Client Services Representatives Nikkiah "Nix" Wolfe, Allie Stone, and Kathy Hoefling joining the team! We're happy to welcome these friendly administrative professionals to our staff. 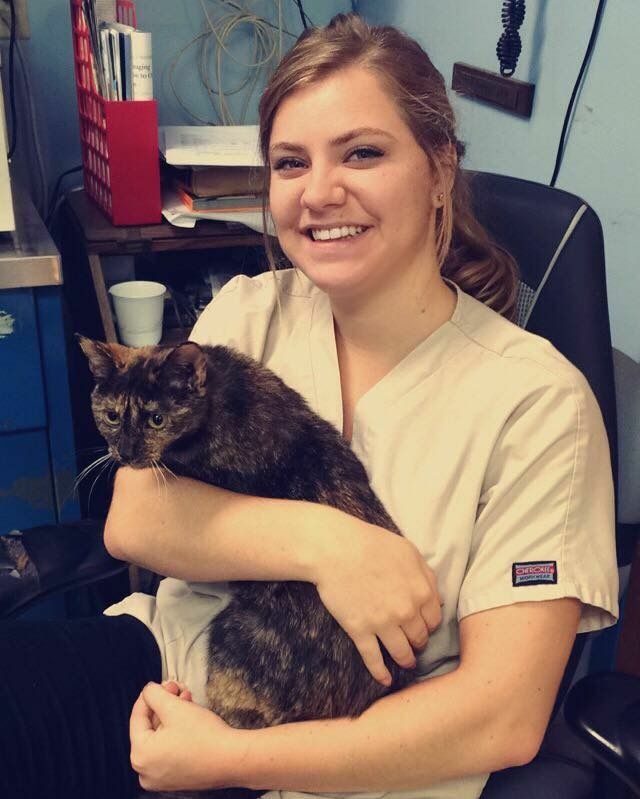 Allie has a few years in client services with multiple exotic and pet species in the pet store industry, and Nix also works in the hospitality industry part time. Some of you may remember Kathy who started a great career as a paraveterinary professional several years ago at Highland. We're happy to have her knowledge, experience and caring back in the bullpen with us. In addition to using a web platform to process payment more quickly and efficiently, Highland is also pleased to have rolled out a partnership with Trupanion Pet Medical Insurance using the Trupanion Express platform. 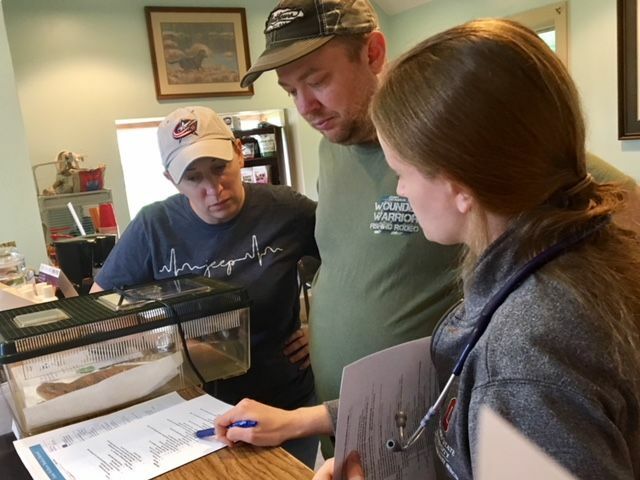 Sarah Shearer, Veterinary Nurse has recently been certified as the first veterinary technician on the Northside of Evansville, Indiana who has achieved Fear-Free Certification from Dr. Marty Beckers national initiative. This opens up a great opportunity for our support staff and hospital to obtain greater resources and continue an initiative "to not only look after a pet's physical well-being, but his or her emotional well-being as well." Thank you and congratulations Sarah! Molly Welch reports that "Pearl" is up to over 40lbs in body weight in her new home and her haircoat is improving daily! 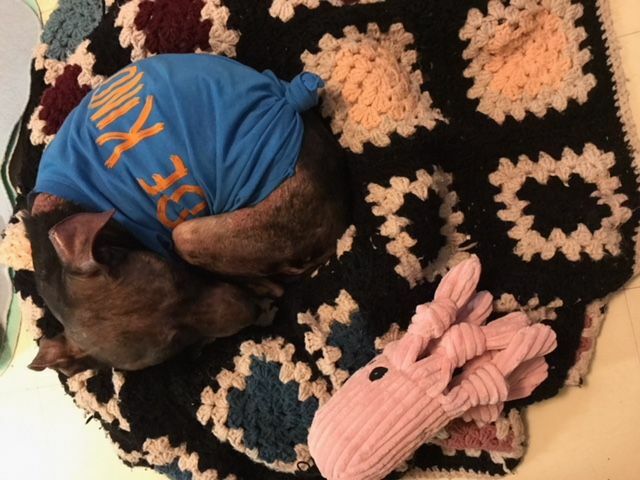 "Pearl" is the first crowdfunding case we successfully started using the American Veterinary Medical Foundation's platform to create a Highland Veterinary Clinic Charitable Fund, which helped which helped "Partners for Pets" in Georgia to fund her care and transition to a wonderful new life. To contribute to this fund, so we can continue to help local pets defray medical costs, please click here. This autumn 2017, we welcome veterinary nursing (vet tech) extern Elliot Latham as we host his mentorship for twelve weeks as a student of Veterinary Technology through Harrison College in Evansville, Indiana. 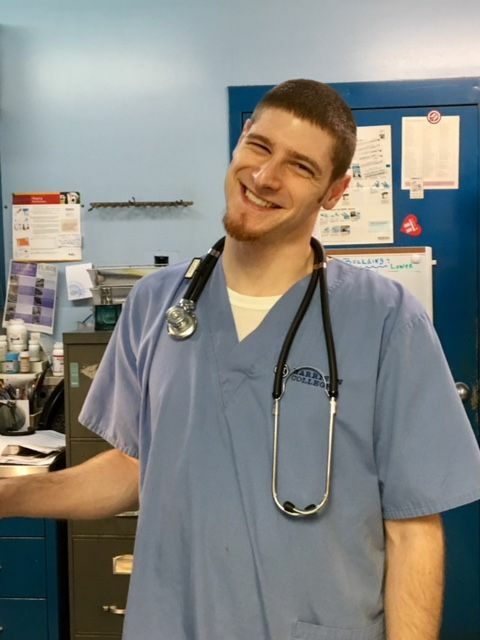 Elliot has been a delightful, engaged and caring volunteer assisting our vets and nurses in the exam room, surgical/diagnostic imaging suite, and laboratory. Thanks Elliot and we hope you have a great experience with us this quarter! Kiersten Record stopped by for a visit during Fall Break to say hello and that she is having a great first semester in the School of Veterinary Medicine at Purdue University. Boiler Up! We all survived a late summer kitten season at HVC with lots of humor, fun, and a great deal of love. 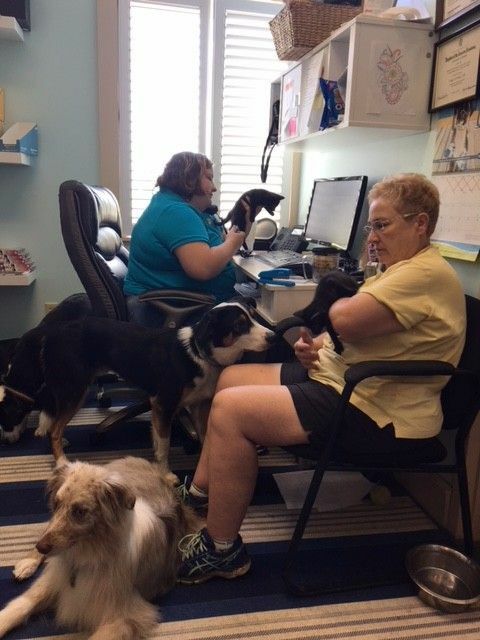 Here pictured is a rather "out of hand" office situation with Melissa Gormley and Carol Gormley providing socialization and love for the latest additions to the Gormley home "Ella and Jazz." Our dogs all were helpful and kind. Including "Malcolm" Turpen who was the goregous fellow and guest for the day in the bullpen. 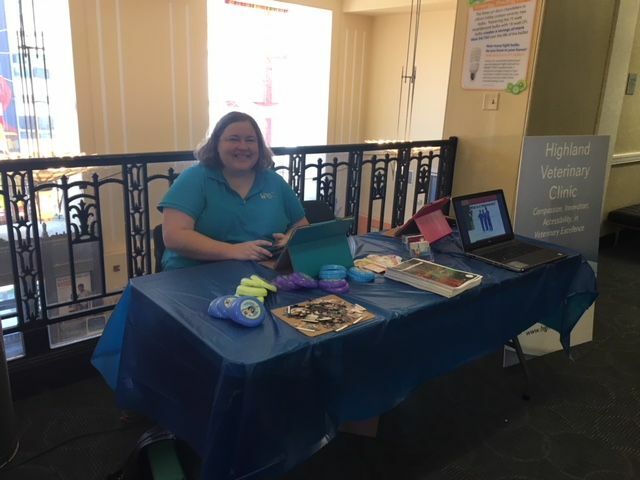 Molly Welch and Melissa Gormley had GREAT FUN with all the kids at cMOE during Future Veterinarian Day with learning great prizes and teaching kids about the vet's role in the community and family. 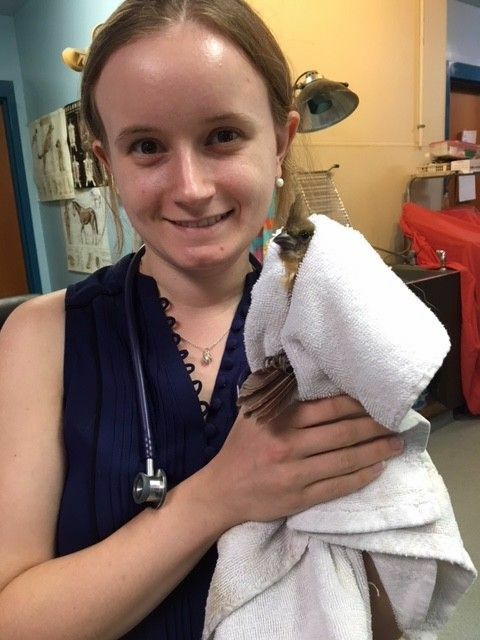 Katherine Turpen, DVM Joined our team at the end of the summer and welcomed many new dogs, cats, and exotic patients through our door. If walks, crawls, slithers or flies through the door, Dr. Turpen wants to help. 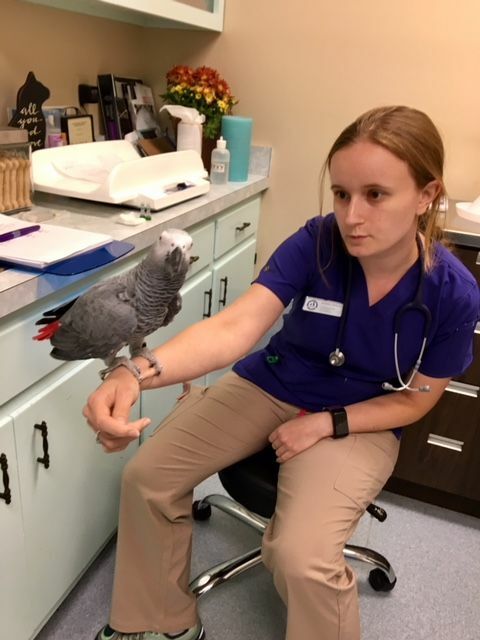 Dr. Turpen graduated from The Ohio State University's Veterinary School earning her DVM as a companion animal veterinarian and worked post graduate by teaching and interning at the University of Illinois--beginning her pursuit as a boarded specialist in avian and exotic medicine. Dr. Turpen also holds a special interest in behavior and is Low-Stress Handling Silver Certified.